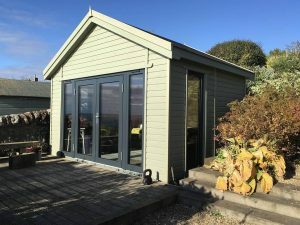 So many factors will play on what size of Blackstone Garden Room you will want. Primarily, it will come down to the space you have and to what extent you want to build to. For example, it’s purpose: if you intend to use your Blackstone as a holiday let then it’s going to be bigger than if you’re just thinking about some office space. Let’s talk through the different size categories we tend to stick to at Gillies & Mackay. 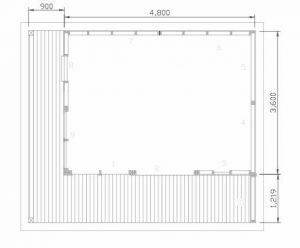 As you can imagine after 30 years of building Garden Rooms there’s a fair bit of repetition in the requirements. So, we’ve come up with a simple range to make choosing yours easier. Perfect for a one purpose space. Mostly garden offices but also ideal for that special retreat to escape to and be at one with yourself. A space like The Crail: Mr and Mrs Mackay had a single skinned summerhouse originally but wanted to make more use of the space. They wanted to heat it and use it throughout the year, especially in the winter evenings. The Crail comprises of aluminium clad French doors and four sidelights. This building is made to the Gillies & Mackay Blackstone Garden Room standard. Full details and up-to-date pricing can be found here. Ah yes!! This is my kinda place. I’ve got a Studio on-site at G&M – she is my absolute dream. I film all my videos for the website in there, I have nice chats with beautiful customers, I write content like this AND because she’s situated on my family farm, I have been known to sleep over for special occasions. I love her. My Studio comprises of one set of French doors, four standard sidelights, one narrow sidelight, one casement window, front and left veranda/canopy and a wood burning stove. Oh, she’s right clever is this one. 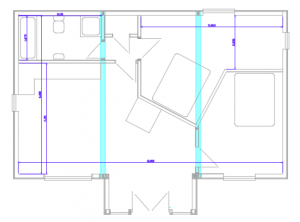 If you’ve read our ‘Garden Rooms: Do I need Planning Permission and/or Building Control’ post, you’ll know fine well why she’s 6m x 5m – 30m2 is right on the money for permitted development. My example is Mr and Mrs Barley. 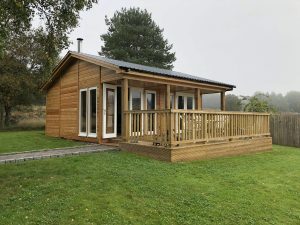 They had their beautiful Garden Room erected in 2017 for their much-needed retirement. An absolutely stunning and tranquil space all within permitted development. The Barley comprises of two sets of French doors, four sidelights, two casement windows, a veranda/canopy and a wood burning stove. 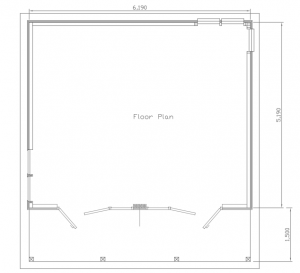 If you are going through Building Control because you DEFINITELY want the building bigger than 30m2, or you DEFINITELY want washroom facilities hooked up to the mains – then you may as well go all out and get “The Fue Shabang!”. The Spindrift is a crackin’ example of how you can construct a two-bedroom holiday home within 60m2. 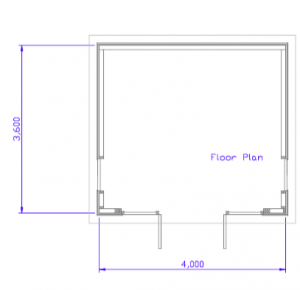 Although this design was not commissioned for build it does help provide an indicative cost. 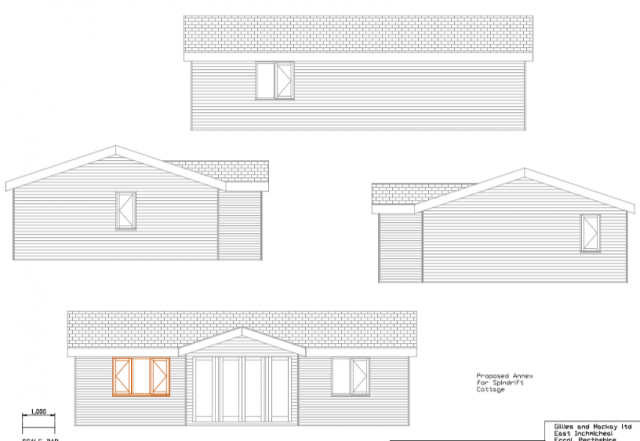 The Spindrift comprises one set of French doors, two sidelights, five casements, a porch, bathroom, kitchenette, two bedrooms and a wood burning stove. 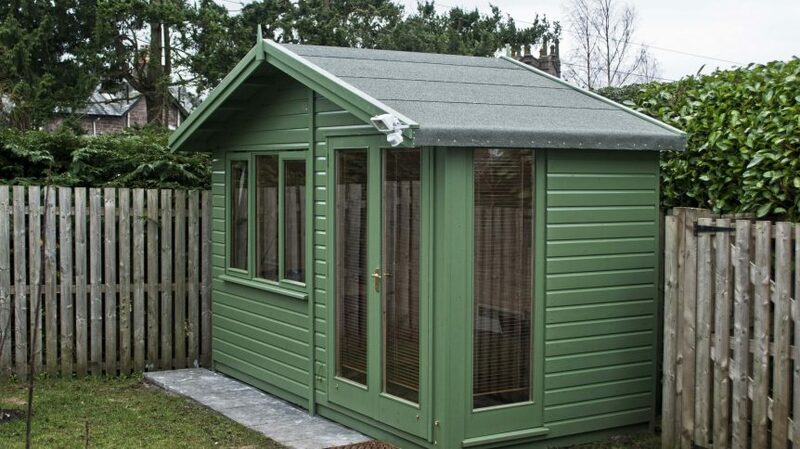 We know size is important for what you need to use your Garden Room for. We’ve been designing and building these beauties for over 30 years. 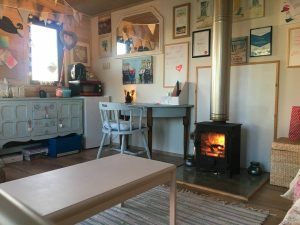 We know how much room you take up, how much space your dog needs, what distance is comfortable sitting in front of the stove, how operational a kitchen area needs to be, where’s the best place to position the loo… all these things and more. If you’re struggling to visualise your ManCave or SheShed, I can totally help with that.